(MoFA Sep 24,2012)-In recent weeks, a number of online media outlets have carried statements by unidentified Egyptian officials professing the hope that a new political leadership in Ethiopia might be inclined to compromise over the Nile. Polemics from anonymous functionaries quoted on obscure websites should not be taken too seriously. 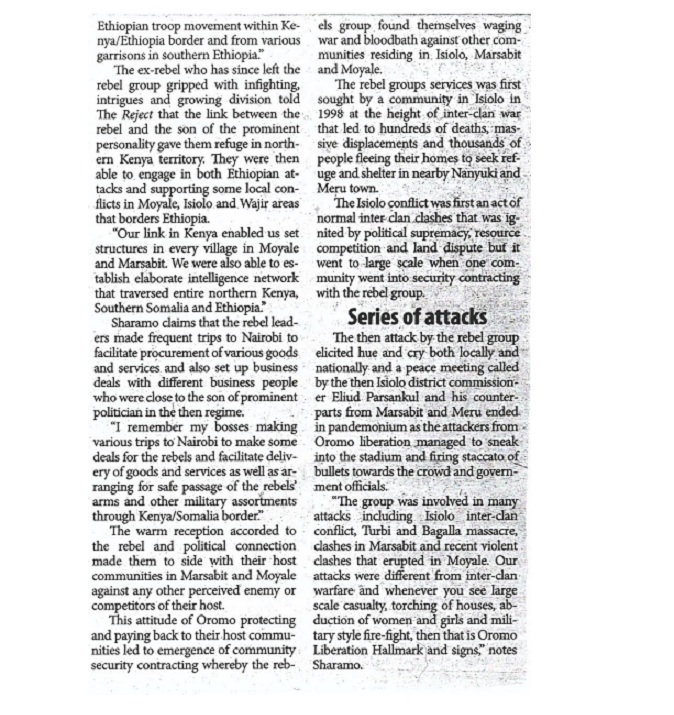 They cannot be seen as serious indication of what the Mursi administration's stance on the Nile issue might be. However, when they are uttered by authoritative voices, and become possible portents of policy, they are cause for concern. 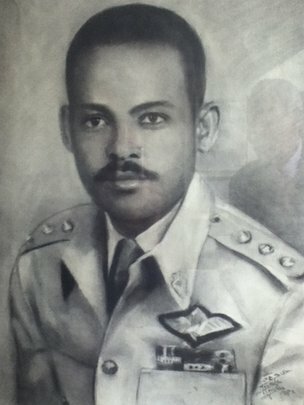 An Ethiopian hero of the Korean War Sixty years ago, Ethiopia was at war. Not in Africa, but thousands of miles away in Korea. 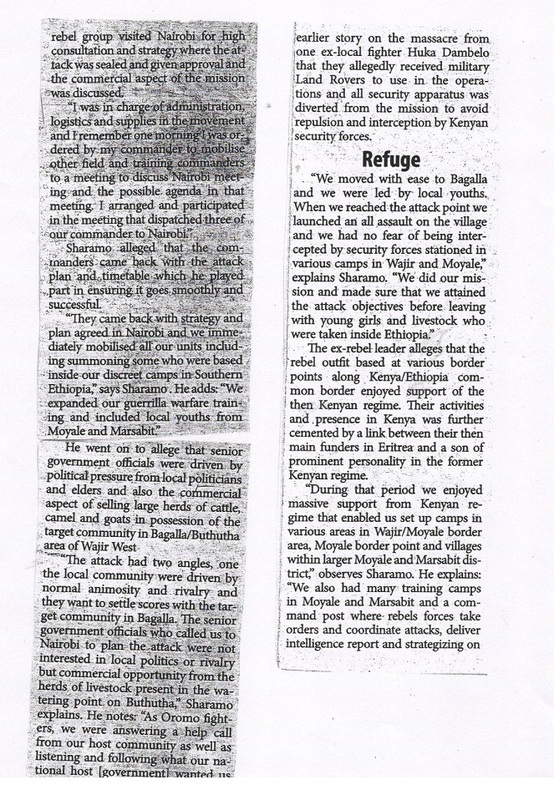 This is the story of one Ethiopian officer who won a US gallantry award. The story in itself is amazing and patriotic! What is even amazing is Alex Last doing the interview...we wonder if Alex is saying "... if I only knew this in 1998! Alex was the BBC reporter who covered Shaibya during the Badme war! Former Peace Corps Volunteers Back in Ethiopia to Celebrate 50TH Anniversary of Launching of Program!! 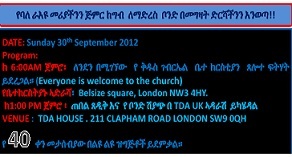 Zelalem Eshete, Ph.D. (09/24/12)- It seems there is no choice for Ethiopians to be independent on the matter of politics. Our political culture demands one to be for the ruling party or the opposing team. I would like to express the voices of what I think are the silent independent Ethiopians. 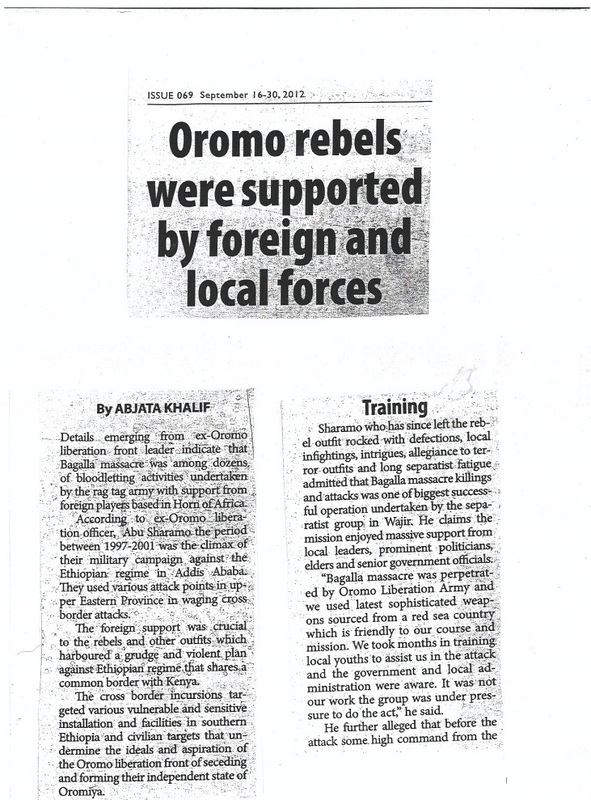 Two things worth sharing after reading the above article- 1)We ask Seye and supporters to abhor extremists and ignorant-least esat and tesfaye, in no uncertain terms! 2)Amanuel or any one should realize Ethiopia's future can only be influenced for better by the stake holders-the people! The head of the UN, Ban Ki-moon, has called for a comprehensive peace deal when the leaders of the two Sudans hold a summit in Ethiopia on Sunday. Tsehaye Debalkew, Embassy of Ethiopia Washington DC. 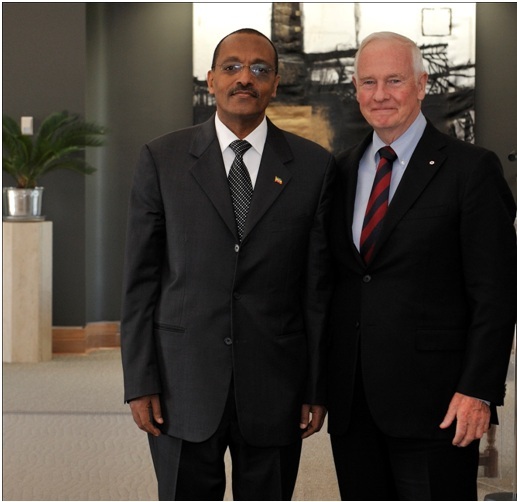 September 21, 2012--The newly appointed Ethiopian Ambassador to Canada Ambassador-designate Girma Birru presented his credentials to His Excellency the Right Honorable David Johnston, Governor General of Canada, to-day, at the official residence at the Citadelle of Québec. Does IMF`s argument make senses? Opinions and Views published on this site are those of the authors only! Aigaforum does not necessarily endorse them. © 2002-2012 Aigaforum.com All rights reserved. Please fill in this Form! Public Meeting Invitation To All Boston TDA Members and Supporters! !